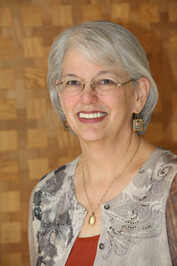 Connie Stevens is an author of Historical Christian fiction whose stories reflect God's grace and encourage deeper exploration of His love. encourage deeper exploration of His love. Thank you for being part of the book blitz for "FIRST LOVE FOREVER". Hey Kay! I think you'll love all these novellas! Blessings! Thanks Kay! I do love sharing! I'm excited to read First Love Forever. Thank you for the opportunity to win this book in the giveaway. 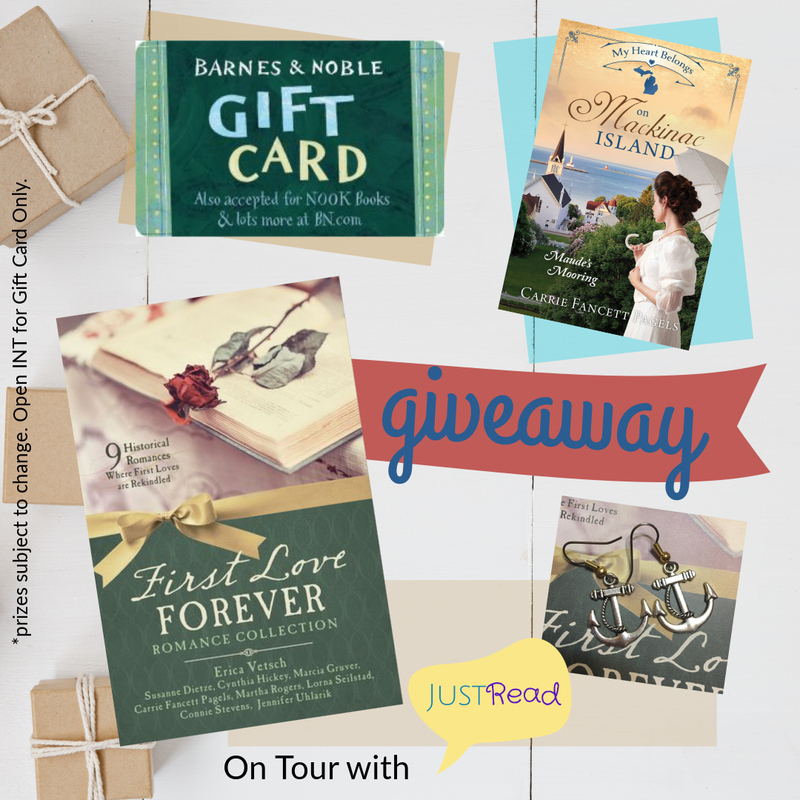 I hope you'll love these novellas, Theresa! Blessings! Thank you so much for hosting our book today! What a treat. Hope you're having a great day. Thanks for being part of the Blitz! Blessings! Thank you, Rachel!! You are awesome!! So are you my dear! Yay! Another collection! I really enjoy reading collections. They are a great way to get to know new authors and experience a variety of stories :) I haven't heard of author Connie Stevens before. Her story, In Due Season, sounds like a goodie. 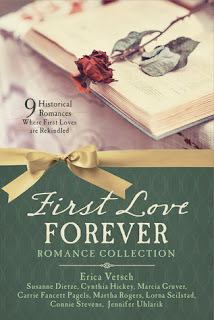 I have been looking forward to this 'First Love Forever Romance Collection' since I first heard about it! Thanks for being a part of this JustRead BLITZ Tour, Rachel!! Thanks for being part of the blitz, all of the stories look good! Fabulous collection with my favorite authors! i do love books with collections of stories. getting over being jilted is not an easy task. hiding it and eventually forgetting it, yes. but not really getting over it. would love to see how this turns out. Great authors! Thank you for the chance to win!